Project Perfect Mod :: View topic - C&C Generals: Operation Firstorm Halloween Update. C&C Generals: Operation Firstorm Halloween Update. Posted: Sun Nov 04, 2018 8:39 pm Post subject: C&C Generals: Operation Firstorm Halloween Update. As mentioned before, Dr. Thrax uses unconventional methods to win his battles. One of Dr. Thrax' specialisations is infantry, which is why this update focuses on two of his core infantry units. 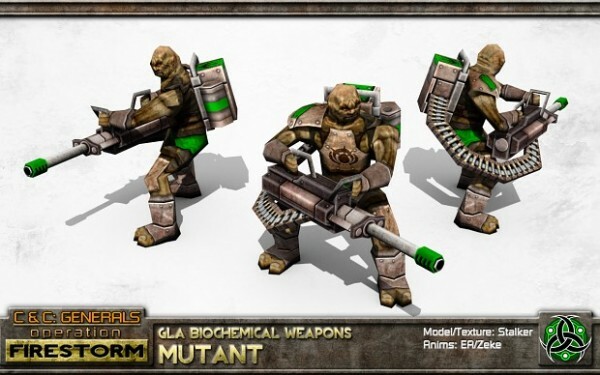 The Mutant is a heavy infantry unit available at Rank 3. Enhanced with superhuman strength and durability, these guys carry 30mm cannons into battle and can withstand lots of enemy fire. 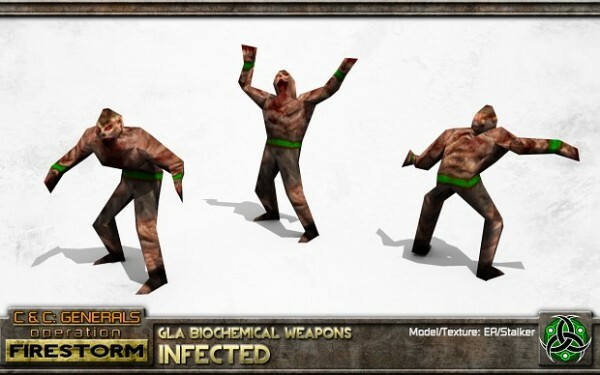 The Infected (or you might just call it Zombie) is a basic melee unit and is not directly trainable. Instead, these units are created by transforming your Volunteers for a small cost. Alternatively, a rank 5 General's Power allows you to transform enemy infantry and even vehicle crew into Zombies which follow your command. 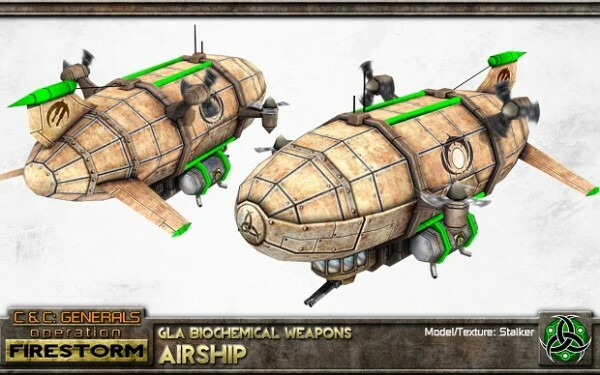 Unrelated to Thrax' infantry, the largest unit in his arsenal is unveiled: The Airship (Available at Rank 4). While moving at a very slow pace, these beasts are the most durable air unit in the game. They can destroy lighter targets with a heavy machine gun turret, while their main role is to bomb enemy bases. Once you're in range, these Bombs deal extremely high damage. For further information on this mod and in order to download the Beta 2 Patch 1 version of this mod, visit their ModDB Profile.